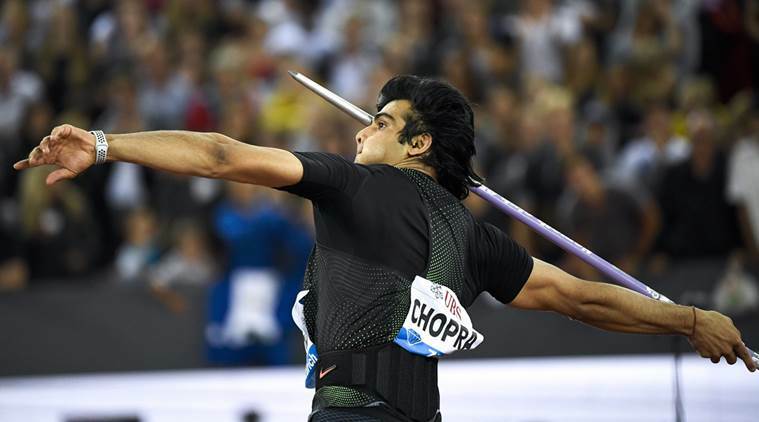 Reigning Commonwealth Asian Games champion javelin thrower Neeraj Chopra will not be boarding the flight to Doha for the Asian Championships, slated to begin on April 21, due to strain on his elbow. Reigning Commonwealth Asian Games champion javelin thrower Neeraj Chopra will not be boarding the flight to Doha for the Asian Championships, slated to begin on April 21, due to strain on his elbow. The defending champion, who returned recently after a training stint under coach Uwe Hohn from Potchefstroom, South Africa, had cut short his training on Friday after feeling discomfort during the throwing session. “His coach told us it’s not a serious issue and that Neeraj could return to the field in a week’s time but we did not want to take any chances. We are preserving him for the World Championships. He informed us just yesterday (Friday) that he wasn’t feeling 100 percent fit so we have decided to not send him for the competition. We won’t take any chances,” deputy chief coach Radhakrishnan Nair told The Indian Express. Neeraj’s name adds to the growing list of star athletes missing the event due to injury. Asian Games gold medallist 800m runner Manjit Singh and quarter miler Dharun Ayyasamy too have pulled out of the event due to injuries. Steeplechaser Sundha Singh, who is recovering from typhoid, too has withdrawn. She did not take part in her confirmatory trials on Saturday. Dharun has aggravated a stress fracture on his shin which will take at least a month to heal. He has been given a two-week break from the camp to continue his treatment in Tamil Nadu. “I am confident of regaining shape before the Worlds. I am a bit disappointed on missing out on the Doha event but this how sports is. I will continue my recovery with my personal doctor back home,” the 2018 Asian games silver medallist said, while pointing towards a lump on his left shin. Chopra, who had a fine 2018, was given an exemption from the season-opening Federation Cup (the selection event for the Asian Championships) in March. He is yet to take take part in any competition in 2019 and underwent an elbow surgery earlier this year. The surgery had hampered his training stint in South Africa. His coach Hohn did not wish to comment and refused to provide an update on Chopra’s current status. Seasoned coach N Ramesh was just given a week’s time to train a 100m relay squad headed by Dutee Chand for the selection trials in Patiala on Saturday. And he delivered. His wards clocked 44.12s, well below the qualifying mark of 44.50s, to make the cut for the Doha event. The squad comprised several new names in including Hina, Archana Suseendran dnd Ranga K. Dutee, India’s fastest woman, took care of the home stretch. 33-year-old Gomathi K too had a bright day on the field, clocking 2:04.12s (qualifying mark : 2:05.00s) in the 800m event. “This is not enough. We need to win a medal in Doha. The team qualified become they have a star runner like Dutee to inspire them,” Ramesh said.